Microsoft Office 365 for Business is a collection of tools that helps you increase productivity, work faster and cheaper than you have before whilst enabling you to work from virtually anywhere. Whether you’re working online or off, from your computer, tablet, or phone, Office 365 has you covered. 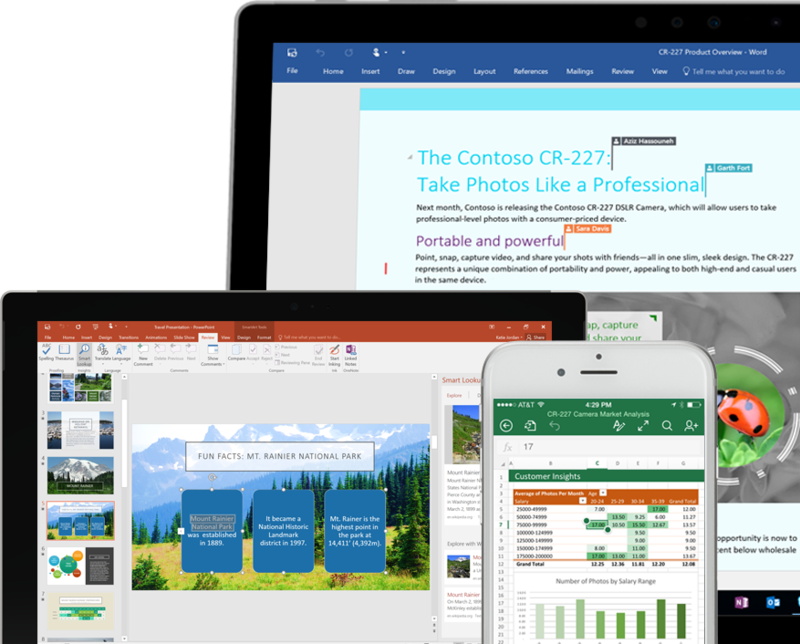 Familiar desktop applications such as Word, Excel, and PowerPoint let you create and work together across devices, platforms, and teams. The web and mobile versions of Office desktop applications help you get more done anywhere while helping keep your online files secure. Whether you’re working online or off from a desktop, tablet, or phone, Office 365 has you covered. Multiple people can work together on a Word document, Excel spreadsheet, or PowerPoint presentation. When everyone is working at the same time, that's called co-authoring. Share and collaborate on files inside and outside your organization. Track the history of all activity on files to keep everyone on the same page. No more multiple versions floating in emails. 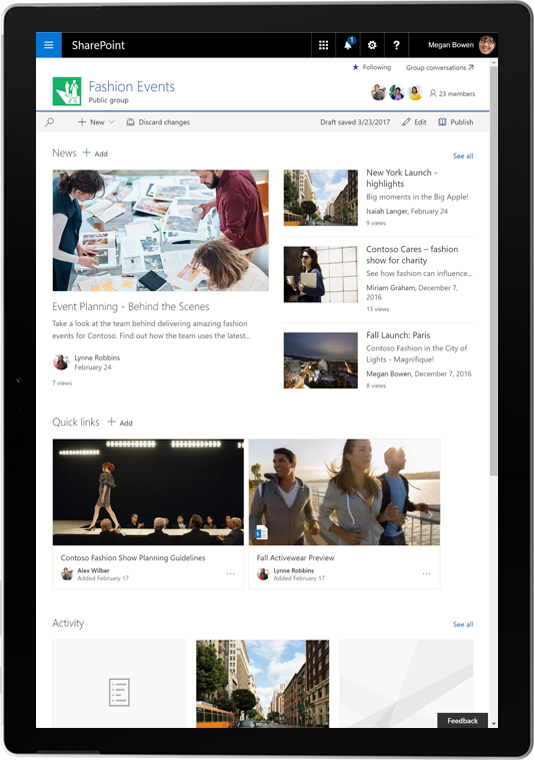 Inform and engage across your organization with a mobile and intelligent intranet put together in SharePoint and Yammer. 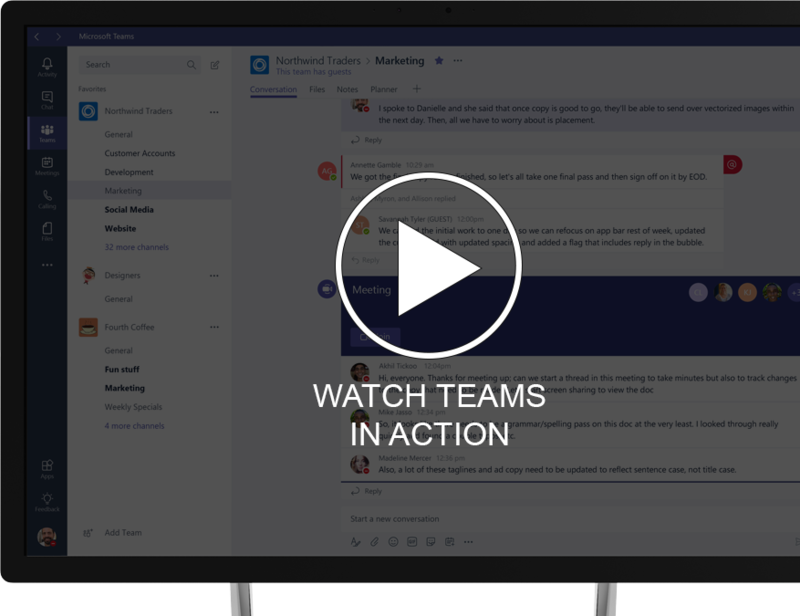 With Microsoft Teams and Skype for Business you can bring together all your team’s chats, meetings, files, and apps so you can easily connect with people you work with on a regular basis on core projects. Microsoft has invested billions of dollars in cloud security. 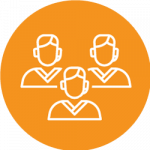 Office 365 is verified to meet the requirements to gain compliance certifications throughout the world and in Australia. In addition, Office 365  gives you enterprise-grade user and admin controls to further secure your environment. Book in a live demo of Office 365 and let alltasksIT guide you through your cloud journey.